Today Anastasia Nechaeva of Russia and Siripaporn Nuanthakhamjan of Thailand both had lost quarter finals but lastly defending champion Wendy survived the scare of losing her title. Break of 61 in the first frame helped Wendy to 1-0 up where On Yee also made 39. 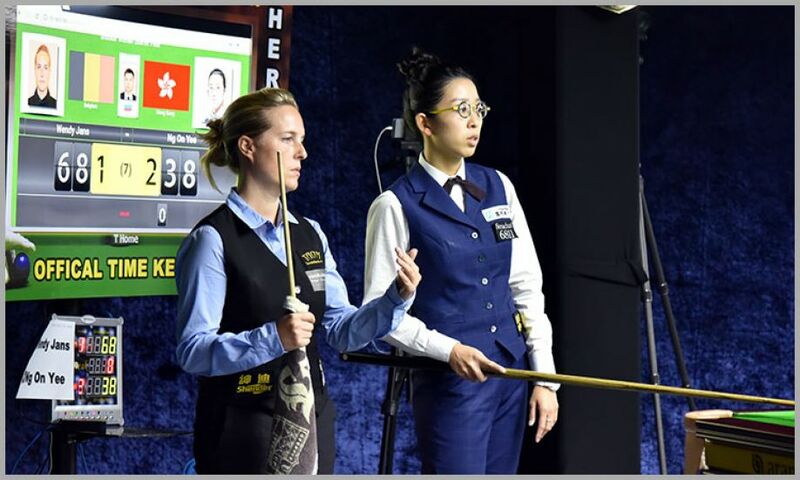 However, On Yee clinched next two frames compiling break of 30 and 38. On Yee was set to raise enhance the lead to 3-1 but on right time Wendy placed an extremely tight snooker and earned 42 points (9 replacements), which gave her breathing space by making it 2-all. Situation was getting worst for Wendy when On Yee blinked once again and took fifth frame. On Yee had chances to seal victory in frame six but couldn’t take that and lost a safety battle on the final black as Wendy made it 3-3. A tense decider came down to the last few reds. On Yee ran out of position in potting and after a bout of safety Wendy took all till the last black which proved enough to get her over the winning line.